Description This Saint Marys, Georgia bed and breakfast has free internet access and non-smoking guest rooms. Built in 1872 this Georgia bed and breakfast features a hot breakfast and free Wi-Fi. 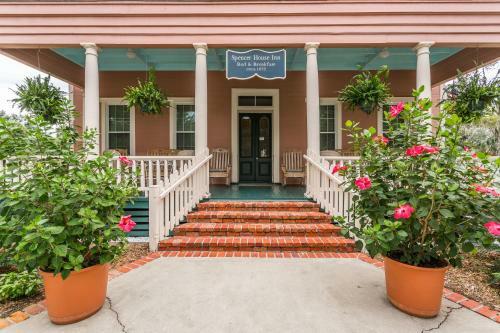 Saint Mary's Cumberland Ferry which goes to the Cumberland Island National Seashore is 2 minutes' walk away.A flat-screen cable TV fresh flowers and gourmet chocolate are featured all rooms at this St. Marys Spencer House Inn. Extras include an en suite bathroom. Select rooms have a clawfoot bathtub.Guests can enjoy peach tea and freshly baked treats in the shared lounge or relax with a book in the library. Picnic lunches are offered for guests going to the beach. Free parking is also available at the non-smoking Spencer House Inn.Saint Marys Historic District is 2 minutes' drive away. 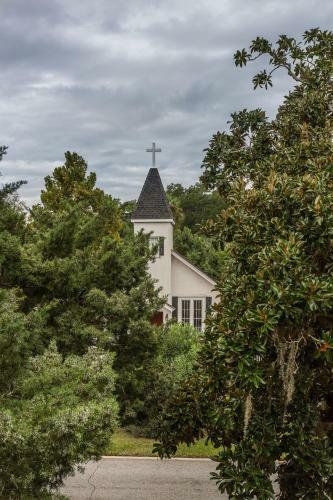 Saint Mary's Howard Gilman Memorial Waterfront Park and Orange Hall House Museum are both 450 metres from the bed and breakfast. Add Spencer House Inn to your free online travel itinerary.